Cheesecake is my weakness… it’s right up there with creme brule and brownies. But, if I was to choose just one, it’d probably be cheesecake. I hope to never be in a position where all three are in front of me and I can only have one. This obviously isn’t in my peak week meal plan, but it doesn’t mean I can’t still bake for the boy. I also have this weird obsession, when I’m depleting, to salivate over all the things I cannot eat. It’s weird, but therapeutic at the same time. 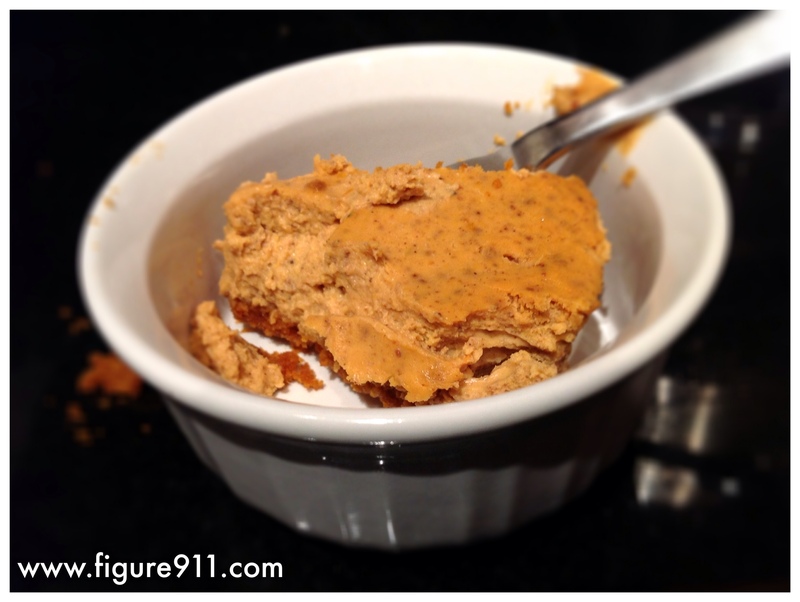 I got the main bones of this recipe from the forums on http://www.bodybuilding.com, but adapted it to include pumpkin! Directions: All ingredients at room temperature. 1. 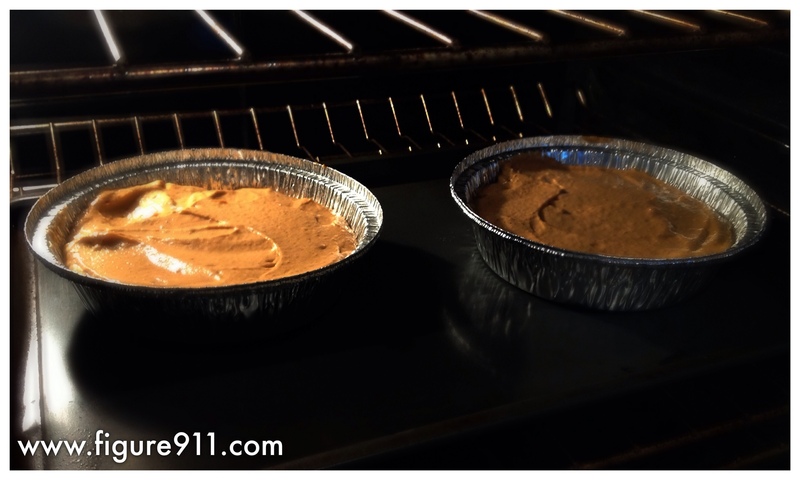 Preheat Oven to 325 – Prepare 6″ cake pan with non-stick spray. I couldn’t find the correct pan, so I bought some cheap aluminum throw away ones from the supermarket that are not exactly the right dimensions, but close. 2. 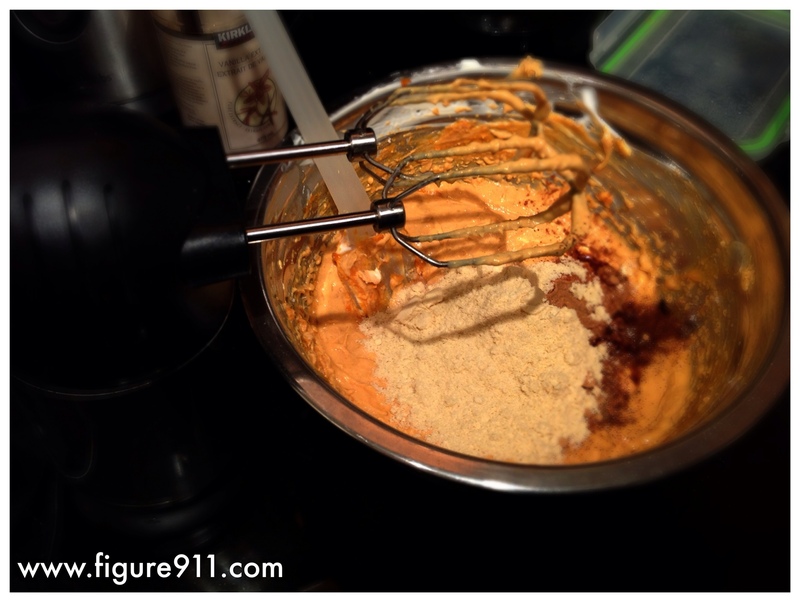 Add all wet ingredients in a bowl and mix on medium until creamy. 3. 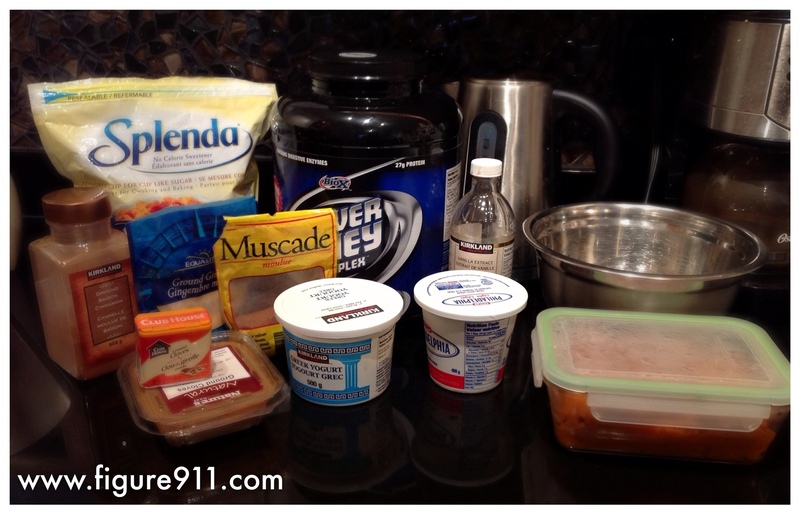 Add the rest of the ingredients – mix on medium for 3 minutes, or until well blended. 4. 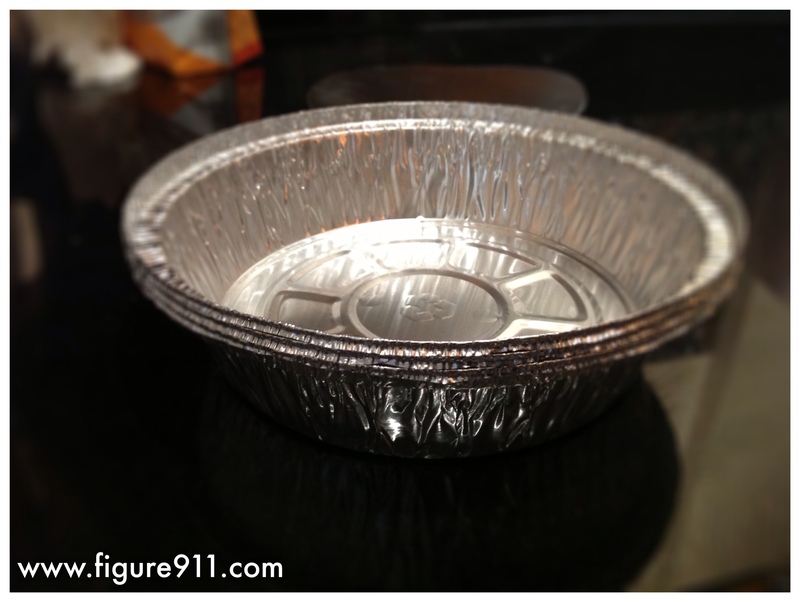 Pour in pan(s) – extra filling in mouth! 7. Bake at 325 for 30 minutes. Turn oven to 200 for 50min – 1 hour. 8. Remove and let cool on the counter. Apparently, (according to the guy who posted the recipe on the forum) the 6″ pan is important, and says the glass pie plate was an epic failure simply because the cooking times need to be adjusted for different pans and cake thicknesses. If you don’t have a 6″ pan, buy one, or you need to remove the cheesecake when it’s 155 degrees in the centre. Chocolate: add in 3 tbsp of unsweetened cocoa powder and use a 1/4 cup of milk. Also, add chocolate protein powder. 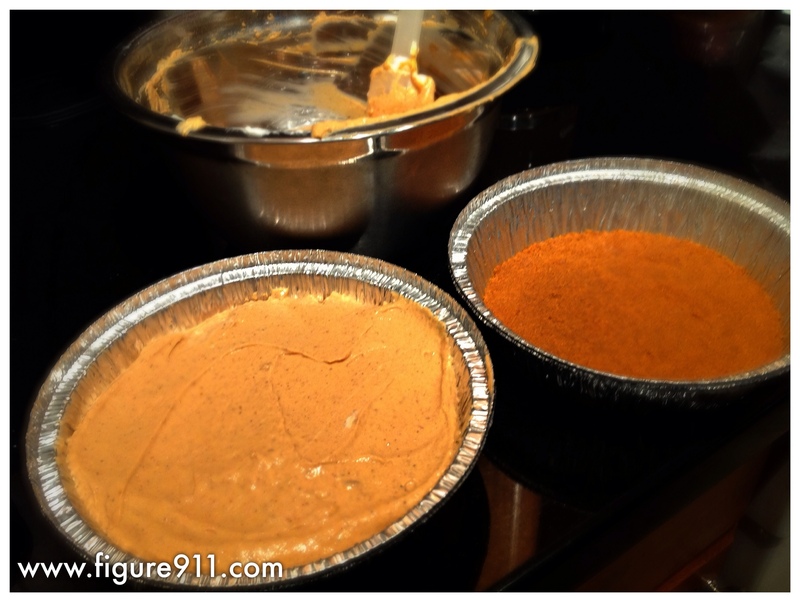 Cut out the graham cracker crust for reduced calories.